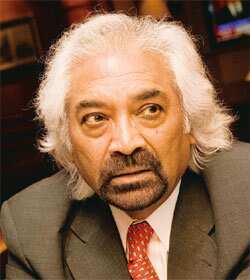 New Delhi: The Indian Railways has not really succeeded in unlocking the full potential in its vast assets, said Sam Pitroda, who is widely credited with sparking India’s communications revolution in the late 1980s. Pitroda outlined 10 major assets—from freight trains to the optic fibre cable network—that had hidden potential that the national transporter could exploit. Pitroda was recently named by rail minister Mamata Banerjee to head an expert committee on how to use the department’s vast optical fibre network. Citing the example of the Millennium Park in Chicago, where the city administration utilized air space over railway tracks to build a park, Pitroda said there was a “great deal of unlocked value in land and airspace." The railways has at least 112,000 acres of land. The railways could also take advantage of advances in wireless technology by installing global positioning systems in freight wagons, to track and ensure optimum usage, Pitroda said. He also advocated “train mileage" that could be traded for other forms of transportation. He said the railways could also utilize the optic fibre cables it laid, to link all its vendors. Excess bandwidth could then be provided for the public, he said. The railways has an optical fibre network of nearly 34,000 route kilometres. “The key to a lot of these things, from my perspective, is information communication technology," Pitroda said, adding that the fundamental challenges for the organization were expansion, access (for the public) and the quality of services provided. Speaking at the conference, railways member (mechanical) Praveen Kumar said, having realized that it had exhausted all capacities, the railways was looking at setting up new lines and undertaking port connectivity projects. The railways is also examining a north-south freight corridor, he added. “Though they (the railways) have done a lot over the past three-four years, there is a lot of commercial exploitation still possible, which can be done with technology," said Amrit Pandurangi, an executive director with audit and consulting firm PricewaterhouseCoopers, adding that the key would be how much freedom railway officers would get to implement the suggestions.